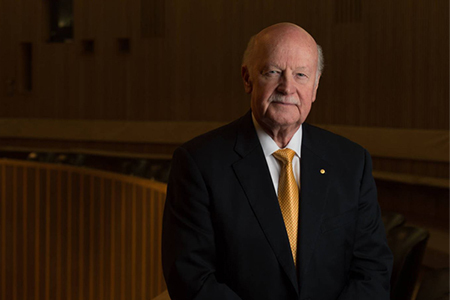 The President of the Australian Academy of Science Professor John Shine AC FAA has welcomed calls for a global moratorium on all clinical uses of genetic editing of heritable human DNA. The proposal was made by a group of eminent scientists in the journal Nature as a way of ensuring controlled development of new gene editing technology. It follows claims revealed last year that a scientist in China edited the DNA of early embryos in treatments that resulted in the birth of twins with an altered genome. Professor Shine said that germline editing of human DNA (changing the genetic code in a way that could be inherited by future generations) has the potential to deliver revolutionary new treatments for a number of genetic diseases. However, it has not been tested in humans or shown to be safe. “The Australian Academy of Science believes it is a matter of urgency that Australia joins other nations in considering these important issues and implementing a moratorium on heritable human gene editing in Australian universities, Medical Research Institutes, clinics and hospitals,” Professor Shine said. Germline editing of human embryos for reproductive purposes is prohibited in Australia. “We urge the National Health and Medical Research Council, which has responsibility for oversight of the relevant legislation, to implement a moratorium on considering legislative change to allow heritable human gene editing for reproductive purposes in Australian Universities, Institutes, clinics and hospitals,” Professor Shine said. To begin this consultative process, the Academy will convene a meeting of relevant stakeholders to begin discussions on the implications of possible uses of human germline gene editing and to discuss implementation of a moratorium in Australia.